Welcome to our fourth Tumblr Tuesday, where every Tuesday we celebrate our love of Tumblr by interviewing the mastermind behind the blog. Tumblr, a New York City based startup, is like the FFFFound for the rest of the world. It’s as shareable and fast-paced as Twitter but populated with more in-depth text and rich images. But sometimes those images aren’t so rich— sometimes they’re as grainy and grey as the hipster’s sweater who snapped the shot. In the case of this week’s Tumblr Tuesday: Fax Blog, the social media platform is best used as a fast-paced, viral machine that spits out wit and humor as much as it does nonsense and sarcasm. 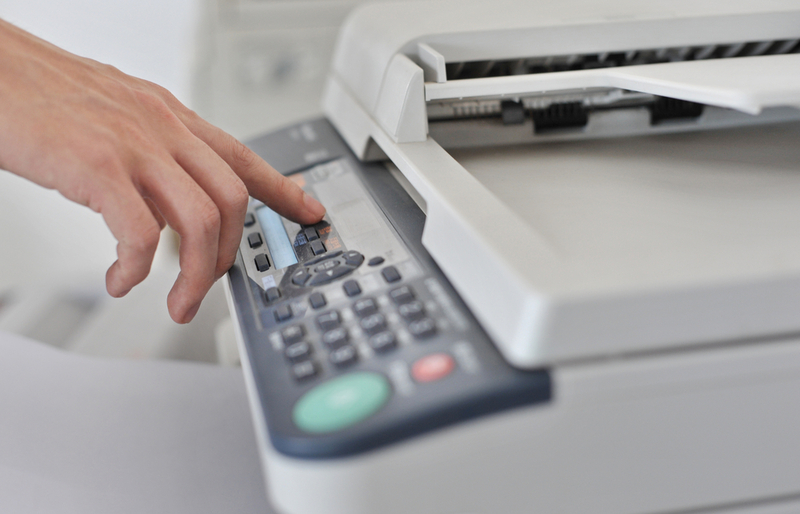 Fax Blog offers up user generated content sent in by those with a super secret phone number. It’s the Tumblr version of a clandestine supper club. Anyone with that phone number can fax in their submissions to appear on the blog. We first interviewed Fax Blog creator’s Benjamin Palmer, CEO of The Barbarian Group in February at New York’s Social Media Week on “Humanizing Brands in Social Media.” Since then, we’ve covered several of The Barbarian Group’s innovating new media marketing campaigns including Mozilla’s Spark Campaign and Samsung’s Tweetcracker. Fax Blog launched on August 2, 2011 and has had just over 200 submissions to date. Check out our interview with Palmer below on his love of fax machines and predictions for the future of the fax. CBM: Benjamin, what were doing at the moment when you decided to launch The Fax Blog? / When did you start the blog? Benjamin Palmer: I’m pretty sure I was spacing out and staring at the fax machine in the office here, and I was thinking about how many fax machines are out there, only used for faxing contracts and NDAs, and couldn’t we do something fun with that? That was a little while ago though, for such a simple thing it took us a while to get around to finishing it. CBM: What’s your earliest memory of the fax machine? BP: I remember fax machines playing a major role in the movies – particularly the unnoticed fax with the clue to finding the killer, sitting unnoticed on the police station fax machine. Or Marty McFly getting fired via fax (see below). CBM: How would you say your feelings towards the fax machine rate on a scale of Hate, Dislike, Don’t Care, Like and Love? BP: It used to be a Like, but now that I can fax to the Internet, it’s definitely Love. CBM: What’s your favorite Fax Blog submission to date? BP: This one, which is from Back To The Future Part II. CBM: How many Fast Fax Facts quiz shows have you hosted? BP: I think ten or so? I don’t have anything to do with the Fax Facts actually – one of the users did that on their own. The fun thing about this is that it is potentially completely anonymous – if you use a regular fax machine and don’t have it set to display the fax header, we have no idea who you are. If you use the header it shows up in the scan, and if you use an efax it puts a dumb cover sheet on with your email address. Don’t use an efax, it’s a cop-out! CBM: Do you just receive the faxes at your office and scan/upload the images to your Tumblr blog? Or do you have some nifty fax to upload machinery? CBM: What other Tumblr blogs do you manage? BP: I have my own which is just a regular linkblog type thing, and I have a fancy mayonnaise company thats my wife and me and chef Sam Mason that is a tumblr, called Empire Mayo. We also have a private shared Tumblr within our company thats inspirational things we find on the web.